Experienced. Innovative. Committed to Excellence. 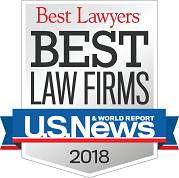 At McKennon Shelton & Henn LLP, our philosophy is that you are the most important client we have, and yours is the most important business we conduct. This approach to the attorney-client relationship is the foundation of our business. We have an unwavering commitment to excellence in the practice of law. We invite you to join the ever-growing group of clients who enjoy the security of knowing that we will always deliver the outstanding representation they deserve. McKennon Shelton & Henn not only does business in Baltimore -- we also contribute time and energy to serving the community. Firm attorneys and staff have provided much-needed legal counsel, volunteer and financial assistance to a variety of nonprofit organizations' programs.